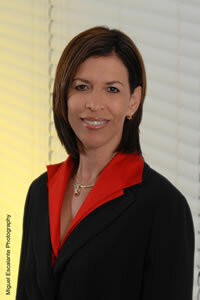 Previously employed for 18 years by Grand Cayman’s power supplier Caribbean Utilities Company, Ltd. (CUC), Mrs. Thompson-Palacio, in her capacity as Manager of Corporate Communications, was primarily responsible for serving as company spokesperson and coordinating the organisation’s community involvement programme. Mrs. Thompson-Palacio will be responsible for developing the Authority’s communications and marketing plan that will seek to identify additional strategic alliances and enhance existing commercial relationships with Airport partners on all three islands aimed at maximising revenue potential of the Authority. In conjunction with the Authority’s Operations Department, external consultants and airport specialists, she will promote the development of retail concessions, leasing of terminal space and advertising, as well as other airport buildings and properties to enhance revenue streams. She will liaise with Government departments, the media, and other stakeholders including international audiences, to proactively seek to enhance their awareness of the objectives and functions of the CIAA. These activities will include distributing press releases regarding the upcoming redevelopment project, airport crises and aircraft incidents, mass evacuations, airport closures and other related news. She will also be responsible for developing the Authority’s website and other promotional literature as well as coordinating special events and promotions to keep aviation partners and the public informed of the CIAA’s activities. Additionally, she will serve as the CIAA’s Information Manager thereby fulfilling one of the Authority’s requirements in preparation for the Freedom of Information Act, which will be implemented in January 2009. The Act will require all public authorities to develop and maintain efficient records management and facilitate access to information by receiving, processing and responding to queries from members of the public. Mrs. Thompson-Palacio indicated her great excitement at being involved in the aviation industry, and looks forward to the challenges that will certainly arise in the future. “I am eager to contribute to the efforts of the CIAA Team to enhance the experience of the travelling public and visitors. Our airports offer a first impression of the Cayman Islands’ experience and a good first impression is critical to ensuring the stability of the Islands’ tourism product. I am especially honoured and humbled to have been once again given the opportunity to continue to be of service to my country through such an important national agency as the Cayman Islands Airports Authority,” she remarked. Mrs. Caren Thompson-Palacio has been appointed Communications & Marketing Manager at the Cayman Islands Airports Authority (CIAA).